Opening it up was rather uneventful. 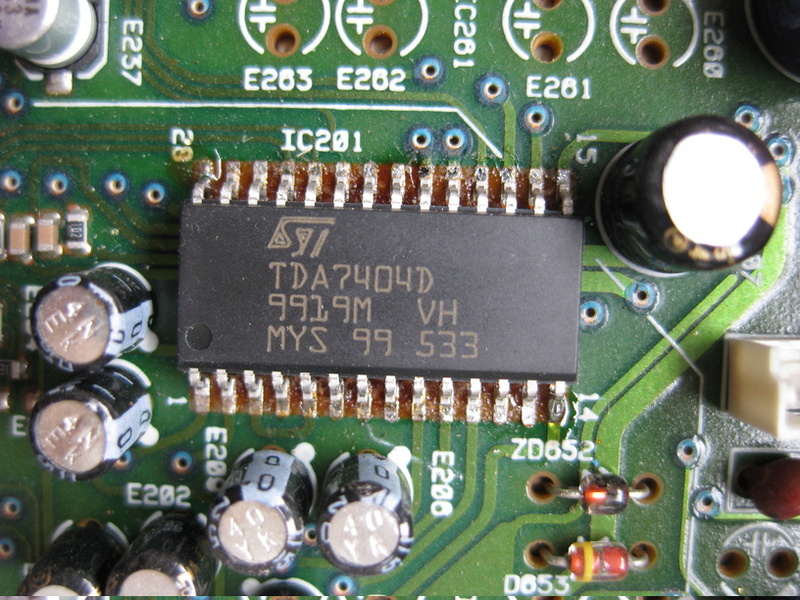 I hooked up an iPod to the auxiliary input and traced the audio as far as IC201, a TDA7404D made by ST Microelectronics. This IC switches between the various input sources and also applies volume and tone settings. The datasheet is available here. 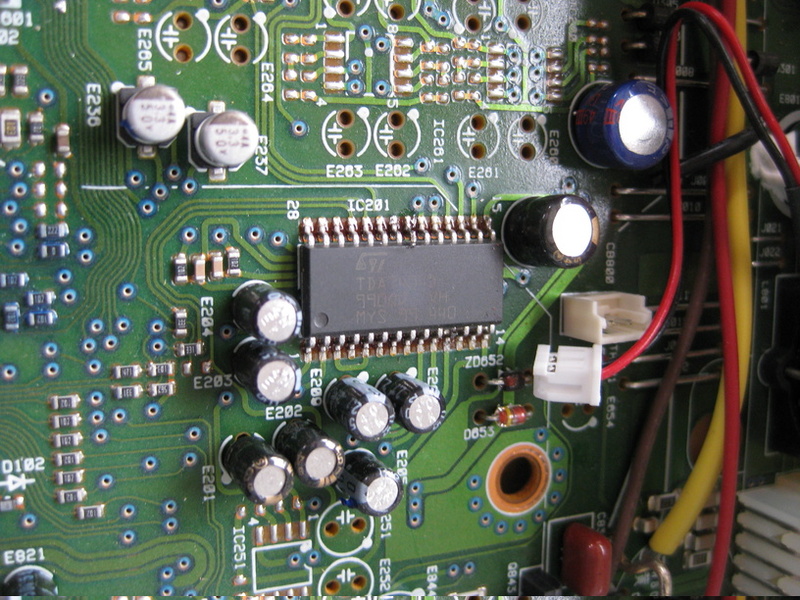 I confirmed 8.6V being supplied to pin26, hooking up an oscilloscope to pins 24 and 25 confirmed data from the micro when turning the volume and shorting the aux input to the output of the IC resulted in sound from the speakers. The IC also had some discolouration as if it had overheated. Getting a replacement was the hard part. No supplier I could find in NZ could obtain one or was willing to sell a quantity smaller than 400. In the end I stumbled across a Polish company called Impel Electronics that claimed to stock the IC. I duly ordered one for €3.50 (total NZ$27 including postage) and within a week it arrived. Replacing the IC restored the stereo to full working order. I would highly recommend Impel to anyone looking for obscure audio parts! 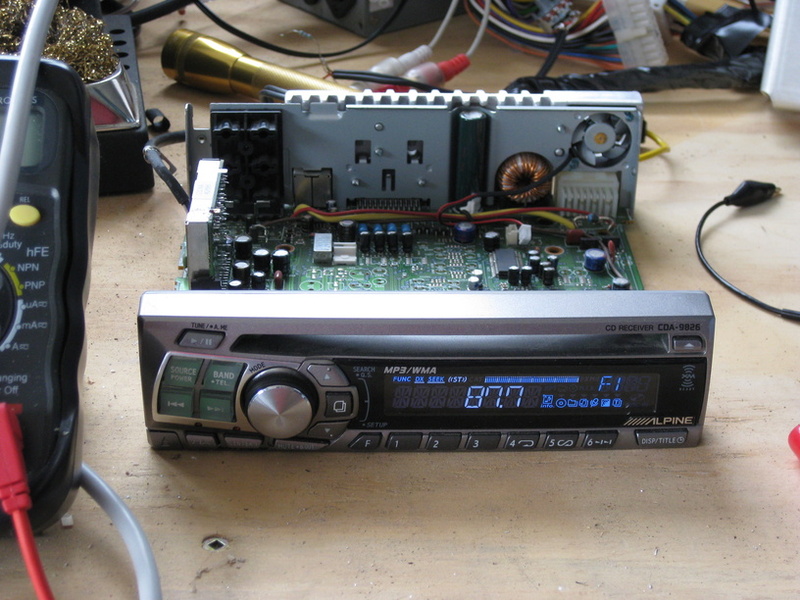 I’d work on tracing the 8.6v rail first as it powers several other stages of the unit including the tuner. The microprocessor and display usually run off a separate 5v supply so this could be why the unit still appears to function.